— NASA has begun drafting guidelines to protect the Apollo 11 and Apollo 17 landing sites, listing them as off-limits, and including ground-travel buffers and no-fly zones to avoid spraying rocket exhaust or dust onto aging, but historic, equipment. Robert Kelso, NASA director of lunar commercial services at Johnson Space Center in Houston, has taken a hard look at future revisits to the Apollo landing sites and how to protect U.S. government artifacts on the moon. Kelso has carved out a set of guidelines to safeguard the value — both historic and scientific — of more than three dozen "heritage sites" on the lunar surface. The report, which was issued on July 20, is titled "How to Protect and Preserve the Historic and Scientific Value of U.S. Government Lunar Artifacts." A greater urgency for guidelines has been sparked by the Google Lunar X Prize's offer of $20 million to any private team that lands a robotic rover on the moon's surface. An additional $4 million has been offered for any team that captures pictures of artifacts near or at the Apollo landing sites. For Kelso, a key question to be considered is: "As the small commercial landers make preparations for possible visits to these historic sites, how do we protect these culturally significant sites from damage so that we can inspect them historically and scientifically?" Specific indicators of U.S. human, human-robotic lunar presence, including foot and rover tracks. New Mexico State University anthropology professor Beth O'Leary is a recognized leader in the emerging field of space heritage and archaeology. O'Leary has spent over a decade working with historians and archaeologists researching how to study and curate human artifacts on the moon. Given a small grant from NASA and New Mexico Space Grant Consortium, O'Leary spearheaded work through a Lunar Legacy Project that investigated protection of the Apollo 11 landing site. "There is a need for more archaeological input into the process of protecting what is certainly humanity's most extraordinary series of events that led us off the Earth and onto the Moon," O'Leary told SPACE.com. The recent capacities of NASA's Lunar Reconnaissance Orbiter (LRO) – now circling the moon – has demonstrated that the probe could be used by archaeologists as an important remote sensing tool for identifying and mapping historic lunar sites. O'Leary said that the NASA guidelines create a series of keep-out zones, boundaries around the historic artifacts and features at all Apollo sites. Apollo 11 and Apollo 17 are acknowledged as having special historical and cultural significance, she said. Those two locations are treated as unique by prohibiting visits to any part of these sites, and all future visiting vehicles would remain beyond the "artifact boundaries" of each entire site. "This provides a robust zone of protection around these two sites," O'Leary said. In the NASA study – for hopper configuration landers that are able to perform "low-altitude"/tangential fly-bys of identified sites – special guidelines have been written to ensure negligible plume interactions at the surface. "For me, the NASA document represents a giant leap for lunar historic preservation," O'Leary explained. "NASA references its ownership of its lunar hardware and the need for protecting what it calls 'witness plates' or 'lunar assets' — those significant artifacts it created in the past that are now on the moon. This is a critical first step and many more have to follow, but for the first time NASA formally recognizes the heritage value of Apollo 11 and other extraordinary lunar sites." The NASA report recognizes there have been no human impacts to the sites, which are in pristine, undisturbed condition except for the effects of the space environment. "Importantly it recognizes that future missions can disturb or change the earlier lunar sites in ways that scientific and historic information can be lost," O'Leary said. 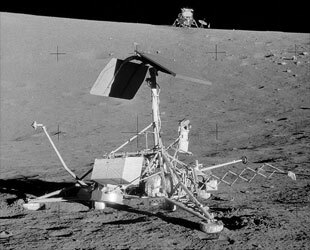 Also, some of the sites are still active and continue to provide data — such as the Apollo retro-reflectors used to measure the distance between the Earth and moon via laser ranging. "It was time for a preservation strategy," O'Leary said. Copyright 2011 SPACE.com. All rights reserved.